Do you use windshield wipers, coffee filters, and square bottomed paper bags? How about a dishwasher, liquid paper, or a circular saw? All of these items were invented by women. Useful though they are, women inventors have improved our lives far beyond these everyday items. 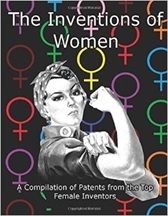 February is National Women Inventors Month, and a good time to honor these women and take a look at a few of their inventions. Stephanie Kwotek, invented Kevlar, the material used in military armor, radial tires, and more than 200 other products, in 1966. This material does not rust or corrode and is five times stronger than steel while being very lightweight. A touching nod to the importance of this invention came when Kevlar earned her induction into the National Inventors Hall of Fame. She was escorted to the stage by a policeman whose life had been saved by his Kevlar bulletproof vest. For this and her many other inventions she also earned a spot in the National Women’s Hall of Fame. Hungarian born Dr. Marla Telkes was ahead of her time in 1948 when she developed the first home heated entirely with solar energy in Dover, Massachusetts with fellow woman architect, Eleanor Raymond. She went on to improve upon existing heat exchanger technology to make solar stoves and heaters. She also worked to develop materials that could endure the temperature extremes in space. While Barbara Askins was at NASA’s Marshall space Flight Center, she was asked to find a way to improve the quality of photographs taken from space, which were very blurry and poor quality at the time. She came up with a process using radioactive materials to enhance the photos. This radiology process was extremely successful and soon it was adapted for use in applications outside of NASA, including X-ray technology and photo restoration. In 1970, she was the first woman who was the sole owner of her patent, to be named National Inventor of the Year. If you are of a certain age, you will know Hedy Lamarr as a glamorous Holly wood actress of the Golden Age. Lesser known is her contribution to national security as the inventor of a “Secret Communications System” which she developed with George Anthiel. Used in both WWII and the Cuban Missile Crisis, this system manipulated radio frequencies at irregular intervals between transmission and reception. This created an unbreakable code that prevented classified messages from being intercepted by the enemy. This technology forms the backbone of wireless communication today, including cell phones and fax mqchines.